Why should you design and plan your new bathroom? Buying a new bathroom for your home is a big decision. 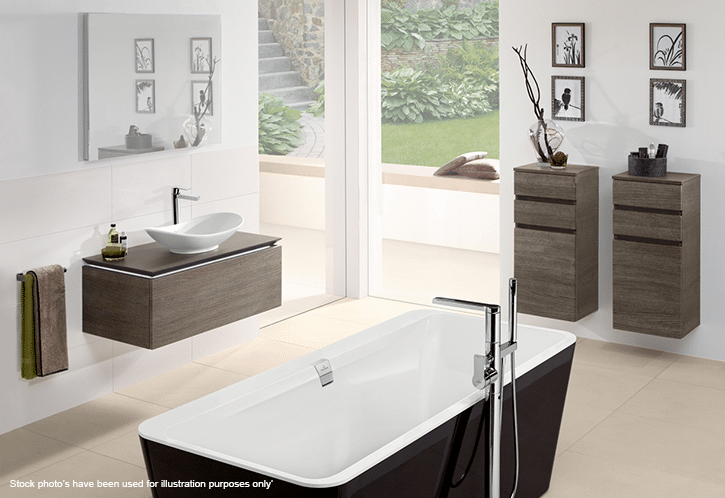 The bathroom is your first morning destination as well as your private sanctuary when you come home. So your new bathroom should offer everything you need to be ready for your day and then relax from your day. Like any project, the planning is a very important process and needs to be done carefully. 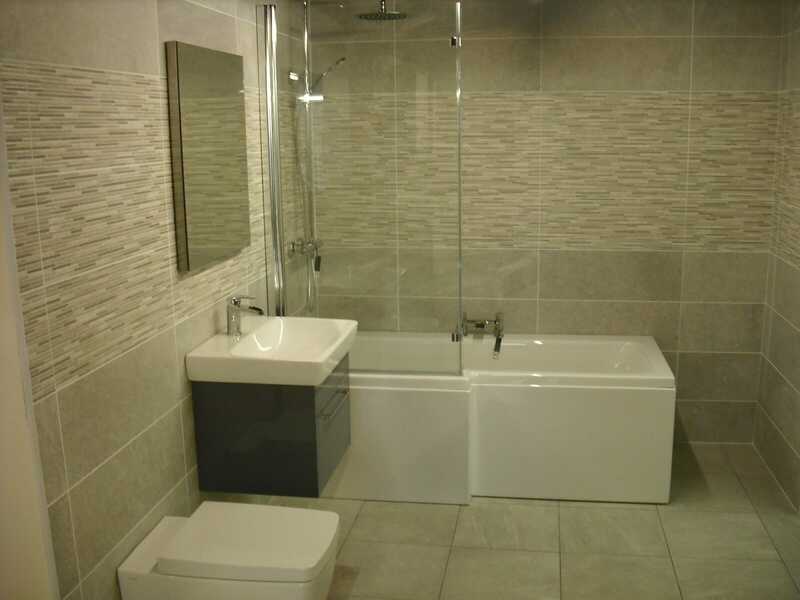 At Alan Heath and Sons we do recommend that hiring a professional is the best way to go about planning your new bathroom, but we meet plenty of people who use our supply-only service and choose to project manage it themselves. What should you consider when planning your new bathroom design? It sounds obvious to plan ahead, but we’re not just talking about when you’re going to do it and how much to budget. Firstly, you need to think about what you want from your new bathroom. Imagine how you will use it. How many people will use it? Think about great bathrooms you’ve used in the past. Get some inspiration from brochures, magazines or online, and then set your sights on it. You need to measure the room, including window sizes and their position – and don’t forget the ceiling height. Make a list of what’s wrong with your current bathroom. What really doesn’t work? What annoys you in the morning and stops you from relaxing at night? Be critical! Then make a list of the things you would like. Start dreaming about your new bathroom and what you would want in it – be creative! 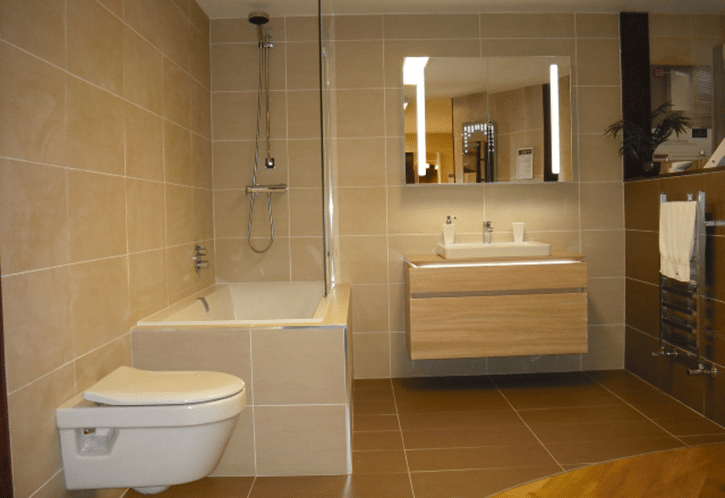 Online bathroom planners – are they any good? There are many free online planners, but don’t be fooled into thinking they’re your shortcut to success. They can be a useful guide, but moving pretty shapes around a screen doesn’t give you a true picture. Just because it fits on the screen doesn’t mean it will work in the space that you have in your home. 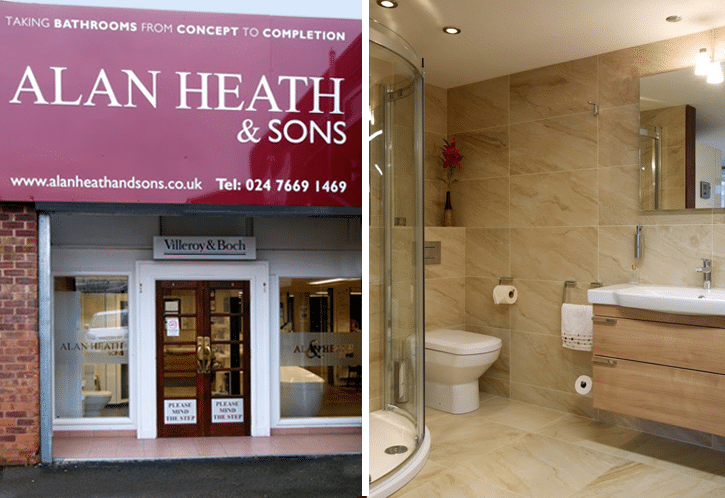 Our specialists at Alan Heath and Sons offer a CAD design service with our bathroom designs. CAD allows you to see your new bathroom in 3D and then move items around to see how much space you’ll have and how it will work. And with our expertise and knowledge behind the CAD, the online planners simply can’t replicate the results we get. People tend to assume that “if it fits it works!” This isn’t always the case and careful planning should consider all the functions of the new bathroom. There’s such a huge choice for new bathrooms. The position of your bathroom’s features will have a bearing on their functionality though, so your choice really can affect your design. Some options simply don’t work in certain spaces and often it’s only experience that can tell you that. Ease of use. Don’t be tempted to sacrifice space over features. Often an airy and spacious bathroom is better than an all-singing and dancing one. Storage. A cluttered bathroom is not a relaxed one, and a bathroom without intelligent storage is not smooth running. Consider what you’ll have in your bathroom and plan your storage to accommodate it. Positioning. Think about the positions of the pipework in your bathroom. Can the toilet, bath or sink be moved? Would they work better in a different place? Don’t presume the last designer got it right! Put your furniture where it works best for the room and then think about the costs involved. So how about if you’re getting a professional to do it for you? Here’s what to look for. A good listener. Someone who listens to what you want and need. On your side. Someone who doesn’t try to sell you what they have left in stock or the most expensive options. There for you after they’ve gone. Make sure your installer will offer an aftersales service in case you need help or advice with your new bathroom even after the guarantee has run out! Is tidy. It’s always going to be a messy job when you rip out an old bathroom, but a good company will make sure you couldn’t tell they’d been until you open the bathroom door! So why choose Alan Heath and Sons? Does your potential bathroom installer have those strengths? We do. At Alan Heath and Sons we are proud to be all about you, the customer. 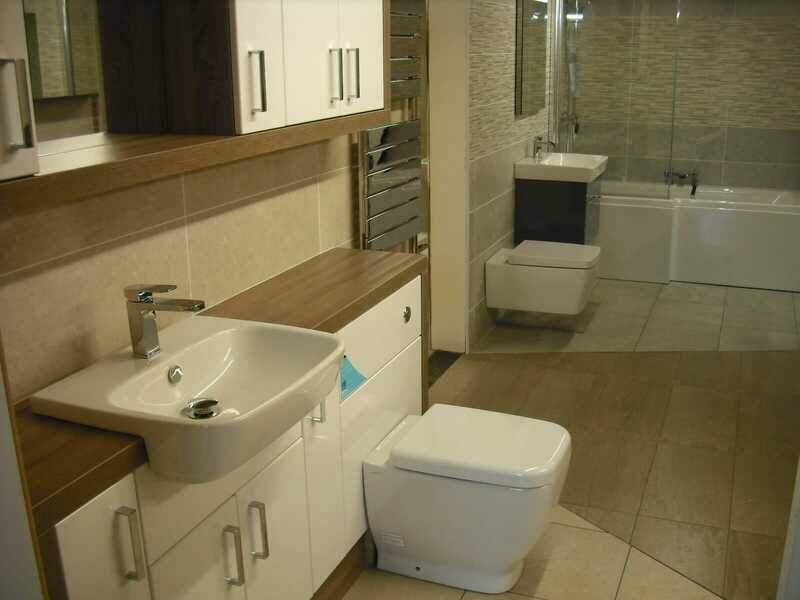 We want you to have a fabulous bathroom that suits you and your home. We’re with you every step of the way – from conception to completion. We offer our six year warranty against faulty workmanship, and our aftersales service runs for the lifetime of the bathroom. We’re also proud to be one of the cleanest companies we know. 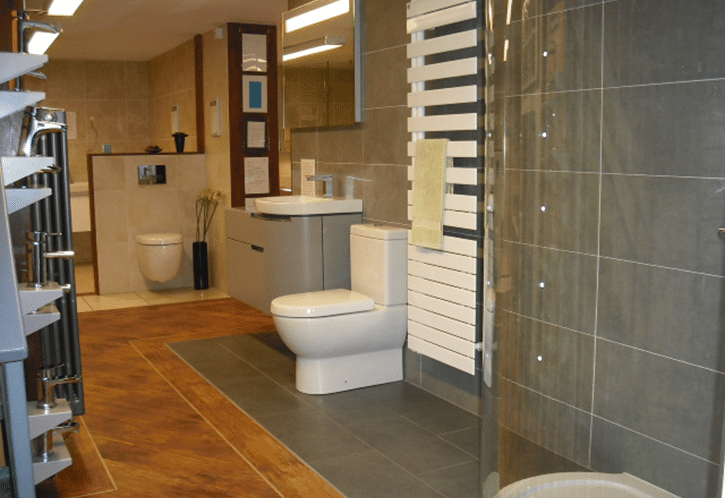 Call us or pop into our Coventry bathroom showroom and we’ll get inspired together. But don’t just take our word for it: here’s a recent email from a happy customer. “Thank you for our fabulous new en-suite bathroom. The quality of the finish is top class. We appreciate the time you spent discussing our needs and budget, and for designing it in CAD which gave us a great 3D impression of how the room would look. 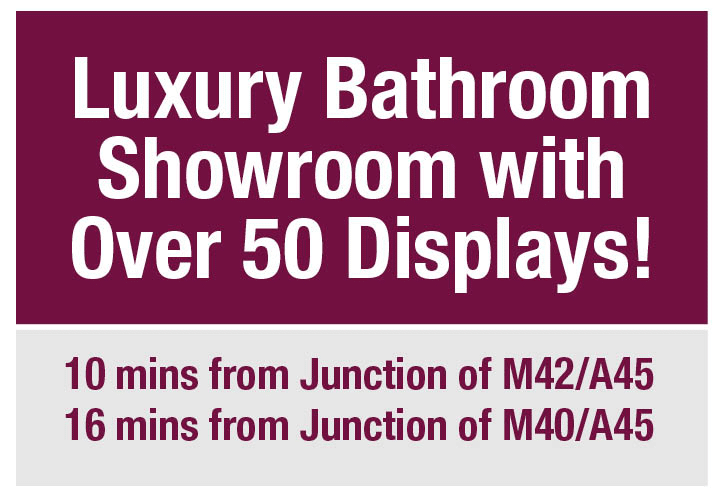 After several showroom visits to confirm the details, we had every confidence in your fitters. The project manager was brilliant and nothing was too much trouble. The complete process was explained carefully and implemented on time. We have already used the aftersales service and a fitter popped back to sort out a minor snag without any quibbles. – John and Pam, Leamington Spa. Whirlpool baths and Jacuzzis for your bathroom – what are the benefits?